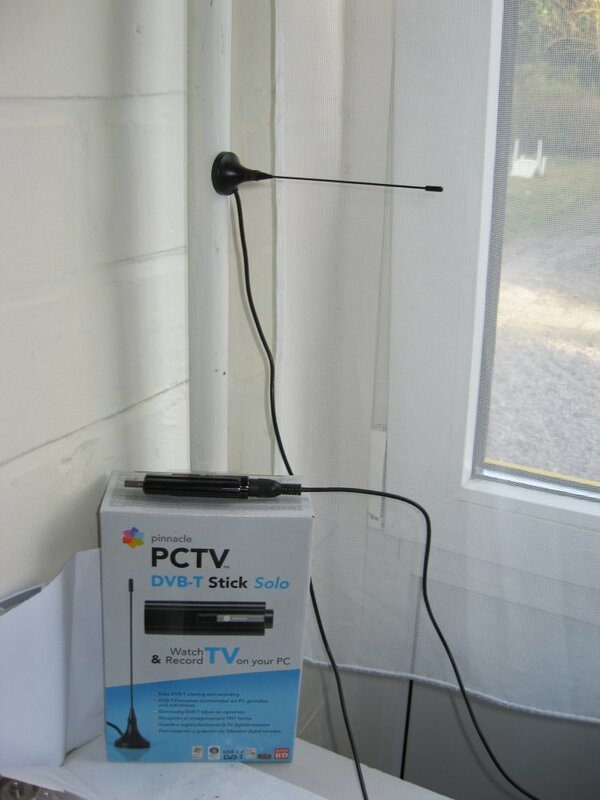 On this page you will find information regarding DVB-T USB devices. Many of the devices on this page need a firmware, the best source for firmwares is OpenELEC dvb-firmware repository. The firmwares on OpenELEC's repository are already extracted, just download the proper .fw file and copy to your firmware folder (usually /usr/lib/firmware). If you need more technical information on a device, have a look at its device specific wiki article if there is one. The device specific article is linked via the device's name but not all are linked yet. If you find an article (e.g. via the search feature on the left) then please edit the device entry here add that link. Just click on the edit icon in the last column of the device's row. If you are unsure about how to do it, click on the edit icon for a device that already has a link to see how it is done. Please feel free to create a device specific page if there is enough worthwhile information that doesn't fit in the comments field. There is also a full detail table. If you'd like to add a new device (supported or unsupported), please go to Template:USB_Device_Data and follow the instruction there. If a device is unsupported, please add with which OS/kernel version you tested last. AVerMedia AVerTV AverTV Volar HD & HD PRO & Volar Green (A835B) ✔ Yes 07ca:3835 USB2.0 IT913X  Device successfully installed on kernel 3.13.0 (Mythbuntu 14.04). This device looks identical to the A835 and has the same model number on the box but has a different chip inside. 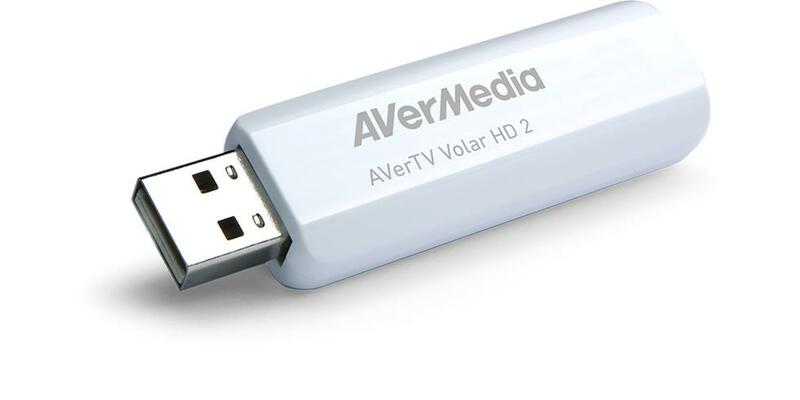 AVerMedia AverTV Volar HD PRO A835B(1835) ✔ Yes, in kernel since 3.11-2 07ca:1835 USB2.0 it913x: Chip Version 02 Chip Type 9135 [] Firmware extracted from the Windows driver on the companion CD-ROM. AVerMedia AVerTV A825/TwinStar ✘ No USB2.0 AF 9035 Dual AF9035 based. At this stage, AfaTech will not release full specifications, and so these cards are likely to remain unsupported. DigitalNow TinyTwin DVB-T Receiver ✔ Yes, in kernel since 2.6.28 13d3:3226 USB2.0 Afatech AF9015 dvb-usb-af9015.fw No longer available. DigitalNow TinyTwin DVB-T Receiver V2 ✔ Yes, in kernel since 2.6.34 1b80:e402 USB2.0 Afatech AF9015 dvb-usb-af9015.fw No longer available. 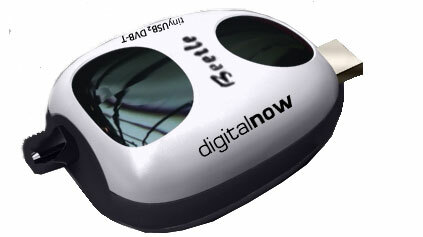 DigitalNow TinyTwin DVB-T Receiver V3 ✔ Yes, in kernel since 2.6.37 1f4D:9016 USB2.0 Afatech AF9015 dvb-usb-af9015.fw No longer available. Genius TVGo DVB-T03 (af9015 version) ✔ Yes, in kernel since 2.6.31 0458:4012 USB2.0 Afatech AF9015 dvb-usb-af9015.fw also sold with fc0012 + rtl2832u chipset. Pinnacle PCTV 71e ✔ Yes, in kernel since 2.6.28 2304:022b USB1.1 USB2.0 Afatech AF9015 dvb-usb-af9015.fw Sometimes called "Pinnacle Dazzle 71e"
TVISTO TVT-DVBTUSB ✔ Yes, in kernel since 2.6.28 15a4:9016 USB2.0 Afatech AF9015, Quantek QT1010 dvb-usb-af9015.fw In the reverse shows "DVB-T TV STICK T523". EzCap DVB-T USB2.0 stick ✔ Yes, but see device page for details. 15a4:1001 USB2.0 Afatech AF9035 Sold as Infinity PC-TV Nano DVB-T USB stick (at least in Croatia) and as Blaze HDTV Tuner in Australia. An EzCAP USB 2.0 DVB-T Stick exist with rtl2832u chipset. TVISTO TVT-DVBTUSB ✔ Yes, in kernel since 2.6.33 18b4:fffa USB2.0 MXL5003S, E3C EC168 It has MXL5003S and a E3C EC168 X***98501T" (I couldn't read all numbers, they were deleted). In reverse (inside in the circuit) It has "4407 ver 2.0"
Hauppauge Nova-T Stick ✔ Yes, in kernel since 2.6.19 2040:7050 2040:7060 USB2.0 DiB7700M or DiB7700P, MT2060 dvb-usb-dib0700-1.20.fw 2040:7060 added in 2.6.20. There are several variants by the same name. Pinnacle PCTV 2000e ✔ Yes, in kernel since 2.6.24 2304:022c USB2.0 DiB7700P, Dib 7000P, 2 * MT2266 dvb-usb-dib0700-1.20.fw Dual tuner device. The diversity feature is not supported yet. Pinnacle PCTV 2001e Dual DVB-T Diversity Stick ✔ Yes, in kernel since 2.6.24 2304:0229 USB2.0 DiB0700, 2 * DiB7070P dvb-usb-dib0700-1.20.fw Dual tuner device. The diversity feature is not supported yet. DVB-T part: Clone of yuan-high-tech-stk7700ph but not working yet? Crypto Diva FM DVB-T Hybrid Clone of yuan-high-tech-pd770a 1164:1f08 USB2.0 dvb-usb-dib0700-1.20.fw Apparently a full clone of the YUAN High-Tech PD770A, only sold in Greece. TerraTec Cinergy DT USB XS Diversity/ T5 ✔ Yes, in kernel since 2.6.29 0ccd:0081 0ccd:10a1 USB2.0 2 * DiB7070PB1, DiB 0700C dvb-usb-dib0700-1.20.fw 0ccd:10a1 added in 2.6.31 . This device looks identical to this one and is sold (in Germany) under the same name and in an almost identical box. Some "broken" devices where sold with cold id: 0547:2235 . You will need to enable CONFIG_DVB_USB_DIBUSB_MB_FAULTY in the kernel .config to catch those. LITE-ON USB2.0 DVB-T Tuner ✔ Yes, in kernel since 2.6.19 04ca:f000 USB1.1 USB2.0 dvb-usb-dibusb-6.0.0.8.fw warm usbid 04ca:f001 Also rebranded as "Intuix Tv Tuner Tnt S800", "Toshiba USB DVB-T Tuner PX1211E-1TVD", and "Medion USB DVB-T TV Tuner"
WideView WT-220U PenType Receiver (Typhoon/Freecom) ✔ Yes, in kernel since 2.6.13 14aa:0222 14aa:0220 USB1.1 USB2.0 dvb-usb-wt220u-02.fw warm usbid 14aa:0221. Support for Club3D Zap 250 (14aa:0220) added in 2.6.19 Hardware. PID filter table count 15 - limited to about 3 or 4 simultaneous TV channels. MSI Mega Sky 580 ✔ Yes, in kernel since 2.6.21 0db0:5580 USB1.1 USB2.0 tuner: qt1010 demodulator: mt352 USB Bridge: ULi M9206 dvb-usb-megasky-02.fw Apparently the MSI Mega Sky 55801 is sold under the same name. At least they have a different usb id. USB bridge: Genesys Logic GL861 none needed The QT1010 in this device has it's problems. If you get no or poor signal on Linux, that's "normal". You can try lowering the signal strength from your antenna, remove signal boosters and/or buy an attenuator. Or buy a device with better support. USB bridge: Genesys Logic GL861 none needed This is neither the "A-LINK DTU(m)" (which is a AF9015 device) nor the "A-LINK DTU(h)" (which from the pictures I've seen, looks very much like a re-branded "GeniaTech T328B"). Bestbuy Easy TV ✔ Yes USB2.0 dvb-usb-wt220u-02.fw This is a WideView WT-220U PenType Receiver (Typhoon/Freecom). Supported in ?? since ?? Supported in kernel since 2.6.?? The following list of devices will have to be organized into a table. Please don't add your device here but try to add it to the table above. Hybrid devices have a DVB-demodulator and a analogue capturing chip. Normally they share a tuner. The programming of the MT352 is hidden behind the USB protocol defined within the firmware. These boxes can only deliver part of the Transport Stream (using a hardware PID filter); it is not known how to deactivate this. (The driver was completely reverse-engineered without the help of its real vendor (assuming WideView is the manufacturer). UPDATE: the vendor was so kind to provide information about unknown commands, hence the driver is complete. Hi, I've purchased a "Yakumo Quickstick TV easy" and it doesn't work after compiling and installing the modules. Its vendor and product id ara 0x14aa and 0x620, and it does not appear in modules.usbmap. So I think it's not defined... ßingen. Firmware: The firmware for the rev 3 Freecom sticks (dvb-usb-wt220u-fc03.fw) can be obtained from here . Rev 4 doesn't work yet, see below. Warning: When checking the table below, check the USB ID to see if you have an old or new revision of the firmware. This is a WideView WT-220U PenType Receiver (Typhoon/Freecom). It works with newest linuxtv driver version. USB ID (before firmware): 14aa:022a. Someone has three of these running just fine in parallel; USB IDs 14aa:0221 and 14aa:022b. Pen-sized. Sold as Mac exclusive, but exterior seems to be the same as dnt EuroStick. Pen-sized. Valid for PCMCIA version. USB ID 14aa:0225 (cold state, before firmware). USB ID 14aa:0226 (warm state, after firmware). USB ID 14aa:0201 (cold, before firmware). USB ID 14aa:0301 (warm, firmware installed). Lumanate Wave PAL SECAM DVBT Device  usb id : 1009:0015 (Emuzed, In). Tongshi DVB-T USB  ... Is this just a reference design? 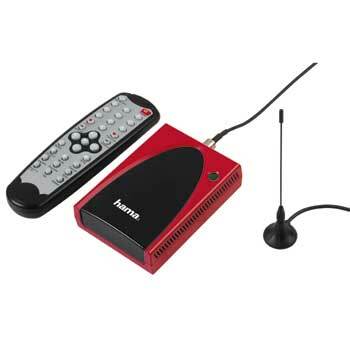 Not to be confused with the DViCO FusionHDTV DVB-T NANO which is supported. The Nano+ does not appear to have any drivers available for Linux. More info is in the wiki's Realtek RTL2831U article. UPDATE: Realtek submitted a v0.0.2 of their driver feb 20th 2008. This has been confirmed to function for this Freecom (or Conceptronic) stick with usb id: 14aa:0160 on a 2.6.22.17 kernel. This stick has a MT2061F tuner chip, but this driver also supports the MLX5005 tuner chip. No additional firmware file is needed. The driver source can be downloaded from , but be aware it has only be confirmed to work on devices with usb id 14aa:0160, and is not compatible with the current code base. chip: MT2060F, CY7C68013A and ZL10353. usb id: 04b4:8613. It seems that this usb stick uses the same chips as FREEcom DVB-T usb stick and Yakumo Quickstick basic, but they have different usb id. Now it doesn't exist in the Lifeview's page, not in discontinued products and not in External TV solutions, only a P Plus but I suppose that is different like the Q (now unsupported) and the Q PLus in External TV solutions. ¿Somebody can confirm this and also put info about the new product of lifeview if they're different? There is a DVB-T-only box:  I'm not able to find it in the discontinued products and correct the url to a new working one. Hopefully someone can help with driver development. UPDATE: "Anttip" linuxtv HG  repository has EC168 development drivers (not yet part of 2.6.31.1 Kernel v4l drivers), which work with EC168 based dvb-t sticks (18b4:1689 device id). Numerous other re-branded sticks use the same chipset. There are different TVISTO usb dongles and some are supported, see TVISTO DVB-T USB for more information. In germany a similar device seems to be sold as dnt EuroMini200 . We tried to get information about the usb interface at Twinhan, but there was none avaiable. The chip vendor Uli  refuses to open all relevant information. Maybe the same applies for the TwinhanDTV Hurricne (704D) . A hybrid USB2.0 box based on the ULI M9207 chipset. Also based on this chipset is the Pinnacle PCTV 310e, LifeView TV Walker Hybrid and Gericom USB 2.0 Hybrid Box sold by Aldi (Germany) and Hofer (Austria). lsusb : ID 10c4:0010 Cygnal Integrated Products, Inc.
AF9035 based. Check out the Afatech AF9035 page for information on support. And please add details so that the device can be added to the big table above. There is also IT9135 based WandTV, id is: 048d:9006. You can try the way described for Kworld_UB499-2T. It "kind of works" for me with the older driver http://wasietsmet.nl/wp-content/uploads/2010/07/IT9135_SRC_i686_patch.tar.gz (scans the channels). The newer driver http://wasietsmet.nl/wp-content/uploads/2010/07/V10.12.30.1.zip compiles with unknown symbol errors: “__stack_chk_fail” and “mcount”. Sometimes a manufacturer forks v4l-dvb all on their own and writes a driver for their device so they can claim Linux support. It's possible your device will work.. for the moment. The quality of the code (if open, there are also cases where you just get a binary blob) too often just isn't good enough and there's still too much work to be done to make the device work. There was probably a reason the manufacturer didn't just send their patches to the linux-media mailinglist. Depending on what exactly the manufacturer did, you may have to reinstall the drivers every time your kernel is updated. When the manufacturer stops updating the drivers, the drivers will quickly refuse to install as newer kernels are released. In case a manufacturer provides open source drivers the patches can be sent to the linux-media mailinglist Linux-Media Mailing List (LMML). Keep in mind however that if the license isn't compatible with the Linux kernel or the quality of the code isn't good enough, these will not become a part of the Linux kernel. NOTE: As linux media drivers are character based, drivers can be also written using libfuse's character device in userspace example. If written that way, an out-of-kernel driver can be written, which fully integrates to udev without the disadvantage of closed source or incompatibility to other drivers. Such driver would rely on kernel fuse and character device in user space support as well as libfuse. Same driver may be usable for different Linux versions, depending on what vendor did. No need to reinstall drivers when your kernel is updated. Drivers can be profiled easily and more accurately than in kernelspace. If the driver crashes, it won't crash the system or kernel, only the driver and applications using the driver will be affected. Userspace drivers can also be used when debugging drivers for USB host controllers, as the userspace driver can't crash the system, making debugging easier. DVB-C, DVB-T, AnalogTV, Composite, S-Video, FM-Radio. The first revision of this device is EOL but still supported, all hardware Features are supported by Sundtek's 3rd party userspace driver. This page was last modified on 26 October 2018, at 09:56. This page has been accessed 1,618,589 times.